The Wye Valley combines a unique blend of Welsh and English influences. A place of breathtaking natural scenery and the birthplace of British tourism, the Wye Tour has enthralled discerning visitors since the 18th Century. With awesome castles, bustling market towns, fresh-farm produce, an artisan tradition, generous hospitality, and sunshine and showers, the Wye Valley is a captivating experience that treats the senses at any time of year. Nestling between the Wye Valley, the Vale of Leadon and the Severn Vale, the Royal Forest of Dean is one of Englands few remaining ancient forests, covering 27,000 acres of woodland. Designated as a National Forest Park in 1938, this Queen of Forests boasts a spectacular range of natural beauty combined with an aura of magic and mystery that has been the inspiration for many great artists and writers including Dennis Potter, JRR Tolkien and JK Rowling. The Bristol Airport Guide is the definitive resource to help you find everything you need when travelling to, from and around Bristol Airport. Bristol airport is easily accessible from the North and South of England via the M5 and from Wales and East of England on the M4 using both private and public transport. Explore the link below to find out which method of getting to Bristol is best for you. The Diving Diseases Research Centre or 'DDRC' was established in 1980 to research the effects of diving on human physiology. It is the largest & busiest Hyperbaric Medical Centre in the South West and is located at The Hyperbaric Medical Centre in Plymouth. DDRC are a world authority on Hyperbaric Medical Treatments and their website contains many Publications detailing the work carried out in association with the Centre. Patients at DDRC include both routine & emergency cases. The Centre is also an education and training base for Diving, Medical, Clinical & Hyperbaric courses and is able to arrange all your Diving Medical Examination needs. SaltFree are a group of freedivers and their scuba safety team united by a love for plunging into the depths of The National Diving and Activity Centre, a deep, green and unashamedly beautiful flooded quarry near Chepstow. NDAC is the first site of its kind to welcome freedivers. Based in St Johns Wood; the London Diving Chamber offers NHS funded recompression and a 24 hr advice line for divers with decompression illness. Other services include: dive medicals, dry diving, dive medicine, travel advice for divers, diver medic & chamber awareness courses. Ideally positioned along the middle of Lyme Bays coastline, West Bay has access to over 60 known wrecks and many superb reef and drift dives with an abundance of incredibly diverse marine life. West Bay Diving now operates a new, fast, 10.5 Vigilante 33 hard boat, MCA coded and licensed to carry 12 passengers up to 60 miles offshore. There is a huge kitting up bench and a dive lift on the back as well as toilet facilities onboard. Booking with Holiday Place is the most convenient way to create a holiday that you can be sure will suit you, without the big price tag. All you have to do is ring us and our travel advisers take care of the rest. London’s leading Hyperbaric facility for all emergency and elective Hyperbaric Oxygen services in London and southeast England. The Hyperbaric and Wound Healing Centre, serving all of London’s leading hospitals and national emergency referral agencies. Both our chambers provide a one-stop-shop for medical advice, all diving medicals, treatment for DCI, dry dives (chamber dives) and educational courses. Our team consists of qualified, competent and diver-friendly professionals. All supervisors and most nurses and doctors are active divers. Our website includes information about decompression illness, avoiding it, symptoms and treatment of the bends. You can also browse all the courses, book a medical or a dry dive and learn about our team. We have an active community and encourage you to join our facebook page, follow us on Twitter and read our blog, all of which will allow you to chat directly to us and post your comments and questions. Based in Poole, Dorset and Reading, Berkshire, The Diver Clinic is an NHS funded hyperbaric medical facility providing 24 hour/365 days a year medical advice and treatment for divers with decompression illness and arterial gas embolism. We also offer HSE Diving Medicals and UK Sport Diving Medicals as well as chamber dry dives and awareness courses. 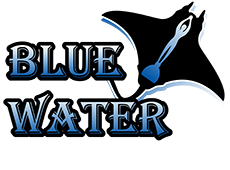 Blue Water Freediving School offers Freediving courses, our venues are in London (Kentish Town) and Hertfordshire (WARE). We provide high quality freediving instruction from entry level course through to instructor level training. We also provide one to one training and private coaching. All of our courses are run in small groups of students. Lutterworth Sub Aqua Club is a BSAC affiliated diving club based in Leicestershire. We offer scuba diver training for the complete beginner in a club environment, or if you are already trained by another organisation such as PADI we can also offer a crossover scheme. The club holds regular pool sessions and meets on a Thursday and Sunday evening after the Club Pool Session. The Pool is ideal for practice (try out that new equipment) and for training. We cannot promise that you will see too many fish, but we can promise you a great time! After the pool session the fun continues in the Restaurant and Bar situated in the same building as the Pool, where great food and cheap drinks are served till late at night. Lots of club members come to these sessions to arrange trips and to meet new friends. Red Dragon Divers is a small, friendly and active scuba diving club and is branch 0495 of the British Sub Aqua Club (BSAC). We are based in Pembrokeshire and make the most of our diving in the Gulf Stream warmed waters of Britain's only coastal national park. We dive from Easter until autumn each year on Wednesday evenings, Sundays and on Saturdays when people are free, tides and weather conditions permitting, of course. Mid-Lancs Sub-Aqua Club is a branch of the British Sub-Aqua Club, the most prestigious recreational diver training organisation in the world. As such, Mid-Lancs Sub-Aqua Club is a branch of a 'Members Club' - totally non-commercial but not at all amateurish. Mid-Lancs Sub-Aqua Club was formed in 2005 and trains new divers, as well as accepting existing divers from both BS-AC and other training organisations, we also organise interesting and adventurous diving expeditions both within the UK and overseas. Since its inception in 2005, Mid-Lancs Sub-Aqua Club has continued to grow and flourish. From the beginning, Mid-Lancs Sub-Aqua Club has made provision to accept members from the age of 12 in accordance with BSAC guidelines, and is also proud to have a number of junior members within the club. Try Scuba Diving in Northumberland and the spectacular North East coast with the Hexham branch of BSAC (British Sub Aqua Club). We are a small friendly club, open to anyone interested in the growing sport of SCUBA (Sub Aqua Diving) in the UK or overseas. Total beginners or experienced qualified divers are welcome. If you have had a try-dive or experienced SCUBA on holiday (maybe you have gained a PADI Open Water qualification) why not contact us and join our adventures - from a small quarry on Hadrian's Wall, to the Red Sea or the Maldives! Joining Hexham Sub Aqua Club would allow you access to our own in-house training, equipment, and dive boat facilities as well as access to the resources of BSAC, the world's largest SCUBA diving club. Blyth Sub Aqua Club is based in Blyth, Northumberland and has been active for over 30 years. We meet every Monday night at our club house for lectures and socializing. After the club we go to Blyth sports centre for pool training and put theory into practice. The pool is for use by any club member whether it be for training, swimming or trying out new equipment. We are the Leamington & Warwick British Sub-Aqua Club. Founded in 1957 and based in Leamington Spa, Warwickshire, our club is run by its members for its members, to provide an environment where people can meet to go scuba diving. The Taunton Sub Aqua Club was registered as BSAC Branch no. 10 in the spring of 1954 - We're over 50 years old! We have invested heavily in training and have acquired enough equipment for training up to 14 novices at the same time. In 1996 the club won a lottery grant which enabled us to build our own 35 foot 'Offshore 105' hardboat which is based in Plymouth. The boat has a 350hp inboard marine diesel engine and a large wheelhouse to accommodate everyone onboard. The club tries to maintain a busy and varied diving schedule catering for newly qualified divers and experienced divers looking for a challenge. We provide the creativity to make you stand out from the crowd. metalfury is a web and graphic design studio that loves to make ideas come to life. We bring over 15 years of experience to every project and specialise in graphic design, website design, web development, branding, email marketing, SEO, social media marketing and most other related areas. We focus on listening to what you and, more importantly, your customer needs and providing a friendly personal service. Visit the metalfury website to learn more about what we do, see some of our work or get in touch and see how we can make your project or business look amazing. Underwater Photography, Street Photography, Portraits and Event Photography, . Many of the underwater shots found on this site were taken by Gareth. Seafarer Training offer essential training courses for the leisure boater. Liner pools Spas and Pool liners supplied and fitted in Bristol Gloucestershire Wales Herefordshire Worcestershire Somerset and Bath around the UK. Spa-pools Hot Tubs Jacuzzis Pool Chemicals. Wigwam holidays specialise in glamping holidays in Scotland, Yorkshire, Cornwall, Wales and everywhere else in the UK, including our very own Wigwam Village in Chepstow!